Talking about the Indian economy, PM Modi said the decision on demonetisation has "dealt a blow to corruption, boosted digitisation and enlarged the formal economy". G20 summit: PM Modi said the grouping should speak in one voice to support "a regime of openness". 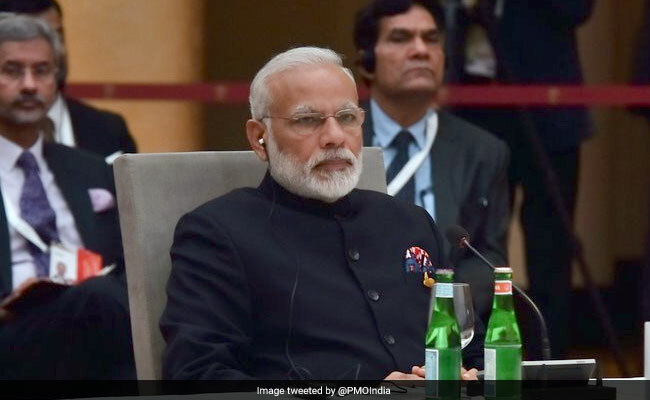 Hamburg: Asserting the need to support and sustain a "regime of openness", Prime Minister Narendra Modi on Friday said rise in protectionism threatens to take away the gains from globalisation. At the G20 Summit,being attended by US President Donald Trump, Chinese President Xi Jinping and other leaders, PM Modi stressed that the grouping should speak in one voice to support and sustain "a regime of openness". In efforts to deal with corruption and the black money menace, the Indian government had demonetised old Rs 500 and 1,000 currency notes in November last year. Asserting that the government is ready to carry forward the fight against black money and corruption, PM Modi hoped that the G20 would assume leadership to act on all important issues. The Prime Minister said the implementation of automatic exchange of financial account information on a reciprocal basis will help curb black money and illicit flows. "With Base Erosion and Profit Sharing adopted, we are ready to carry forward the fight against black money and corruption," he added. Amid concerns over alleged protectionist steps by various countries, including steps to restrict entry of skilled workers, the Prime Minister warned that such moves could take away the gains from globalisation. "The rise in protectionism threatens gains from globalisation," PM Modi said and emphasised that the G20 must speak in one voice to support and sustain a regime of openness. Speaking at a session on global growth and trade, the Prime Minister said the Goods and Services Tax (GST) would create a unified market of 1.3 billion people. Growth and development for all in India is central to our pursuit of economic prosperity, he added. The GST was rolled out on July 1. G20 Sealed Landmark Deal On WTO Reform By Ducking "Taboo Words"